The siding on your home in the Cincinnati, Ohio, area, serves as a protector against Mother Nature and debris impact, so it’s imperative the cladding on your home is durable and built to last. 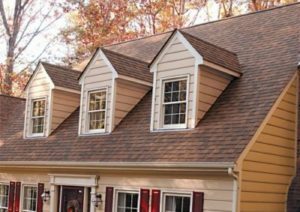 To upgrade your house with premium siding that will effectively protect your residence from inclement weather while adding to the curb appeal of your house, turn to the experts at Advantage Roofing & Home Exteriors. Since our founding in 2001, we’ve been raising the bar when it comes to what customers can expect from home improvement professionals. We offer top-of-the-line products, outstanding customer service, and professional installations, all of which have helped us earn and maintain an A+ rating with the Better Business Bureau. What’s more, the siding we offer is only installed by highly experienced and professional installers who are committed to meticulous, yet efficient, installations. Contact Advantage Roofing & Home Exteriors today to learn more about the siding we provide. One of our friendly and knowledgeable customer service representatives will be happy to answer any questions you have and schedule you for a complimentary consultation at your Cincinnati, OH, home.